At Awana we help children to learn scripture and the teachings of God. We have handbook time, game time, and large group. During large group and handbook time the kids learn the lessons, values, and teachings of the scripture. At game time we play lots of fun games from common ones that most people know to some you may have never heard of. 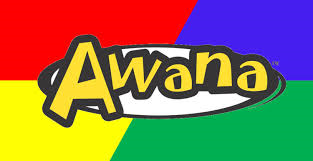 The children can get “Awana Bucks” for bringing friends, reciting scripture, good behaivior, and sometimes just because they deserve it. These can be spent at the Awana Store where they can buy various items to have a reward for all the work they put in. A bible will be needed but if they don’t have one it can be provided.